A MUM and daughter have been living in a hospital room for 15 months while waiting for a council home. Ruth Kidane, 21, was admitted in Barnet, North London, last year and her mother Mimi Tebeje, 50, moved in with her. They were forced into their “hotel stay” because a council has failed to find them a flat back home in Grimsby. A hundred patients have missed out on a bed due to their 15-month hospital stay. 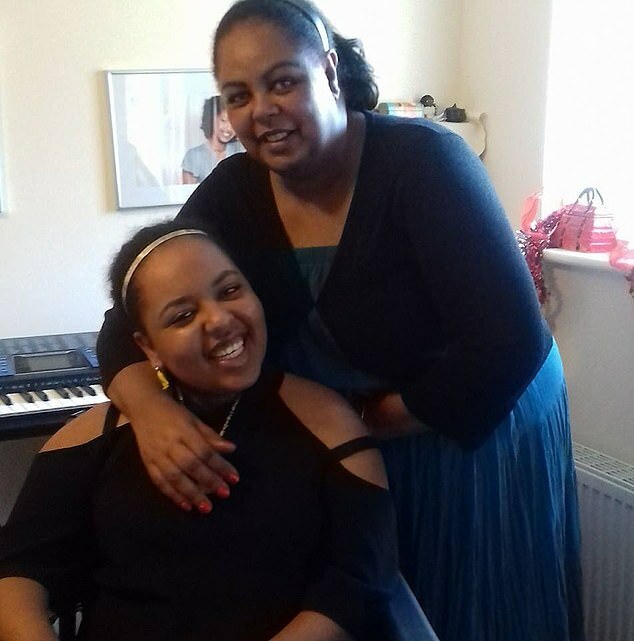 The shambles over rehoming Ruth Kidane, 21, and Mimi Tebeje, 50, has also cost taxpayers more than £150,000. Ruth, who is disabled and uses a motorised scooter, was admitted to Barnet Hospital, North London, in July last year for unknown reasons. Mum Mimi moved into a bed next to her daughter’s in a small room on a general ward. Within a few weeks doctors declared Ruth fit for ­discharge. But the pair are still there because another tenant was moved into their council-owned flat in Grimsby. North East Lincolnshire Council has yet to find them a new home. Barnet Council says it cannot help as the pair are not registered there. The hospital continues to cover their living costs. Ruth and Mimi’s room has a bed, chair, TV and sink and they are served two meals a day. Sources say Ruth has enrolled in an art and design course and gets a taxi three days a week to the college. She has also shared photos from her room, and on days out with her mum in London. Witnesses claim Mimi gets mail delivered to the room and has clothes firm ASOS deliver to the front desk. The pair previously lived in a ­specially-adapted ground-floor flat in Grimsby. The current tenant said he moved in at the start of the year. Hospitals and trusts can obtain possession orders to remove patients from a bed. There were 413 such orders agreed by courts in 2016. Royal Free Hospital Trust, which runs Barnet, has not issued any legal proceedings. The Sun was not allowed to enter hospital to contact the pair. Bosses refused to speak to them on our behalf. Relatives did not respond to attempts to make contact.